This is a range of products to assist you with the mixing and storing of your e-liquid. 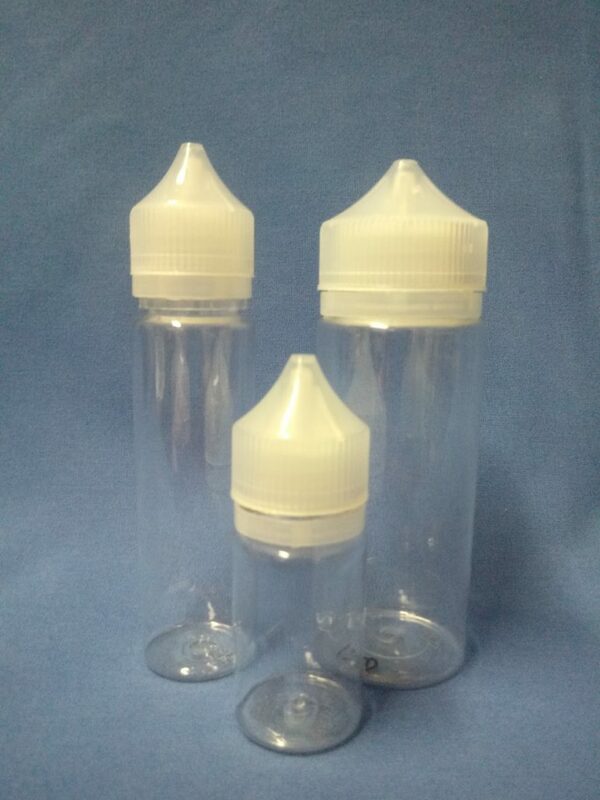 30ml Chubby Unicorn PET bottle with long thin tip, tamper-evident and child-proof cap. 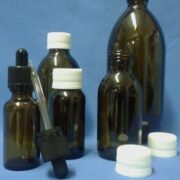 60ml Chubby Unicorn PET bottle with long thin tip, tamper-evident and child-proof cap. 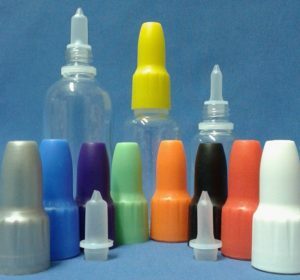 120ml Chubby Unicorn PET bottle with long thin tip, tamper-evident and child-proof cap. 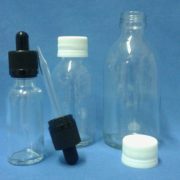 30ml clear glass bottle with needle-point pipette, tamper-evident & child-proof dropper cap. 100ml clear glass bottle with screw cap. 200ml clear glass bottle with screw cap. 30ml amber glass bottle (Missing from picture) with 18/410 neck and squeezy plastic tip. (Select cap colour separately). 30ml clear glass bottle with 18/410 neck and squeezy plastic tip. (Select cap colour separately). 50ml clear glass bottle with 18/410 neck and squeezy plastic tip. (Select cap colour separately). 100ml clear glass bottle with 18/410 neck and squeezy plastic tip. (Select cap colour separately). Silver tamper-evident, child-proof TPD cap (to fit any glass bottle with an 18/410 neck). Blue tamper-evident, child-proof TPD cap (to fit any glass bottle with an 18/410 neck). Purple tamper-evident, child-proof TPD cap (to fit any glass bottle with an 18/410 neck). Green tamper-evident, child-proof TPD cap (to fit any glass bottle with an 18/410 neck). Orange tamper-evident, child-proof TPD cap (to fit any glass bottle with an 18/410 neck). Black tamper-evident, child-proof TPD cap (to fit any glass bottle with an 18/410 neck). Red tamper-evident, child-proof TPD cap (to fit any glass bottle with an 18/410 neck). 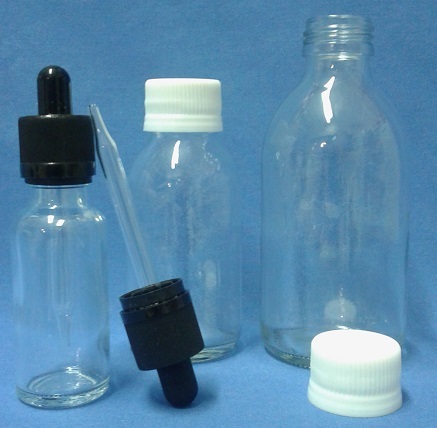 White tamper-evident, child-proof TPD cap (to fit any glass bottle with an 18/410 neck). Yellow tamper-evident, child-proof TPD cap (to fit any glass bottle with an 18/410 neck). Squeezy tip for glass bottle (showing wide side). Squeezy tip for glass bottle (showing narrow side). Glass bottle (18/410 neck) with squeezy tip and tamper-evident, child-proof TPD cap. 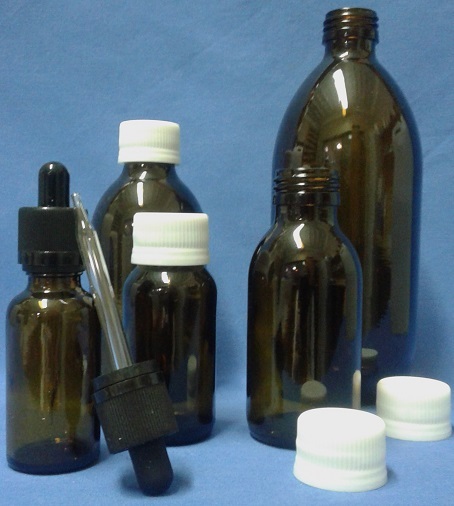 30ml amber glass bottle with needle-point pipette, tamper-evident & child-proof dropper cap. 50ml amber glass bottle with screw cap. 100ml amber glass bottle with screw cap. 200ml amber glass bottle with screw cap. 500ml amber glass bottle with screw cap. 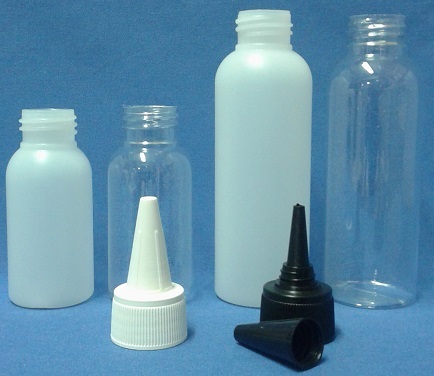 50ml plastic (HDPE white) bottle with witch’s hat cap (select cap colour separately). 50ml plastic (PET clear) bottle with witch’s hat cap (select cap colour separately). 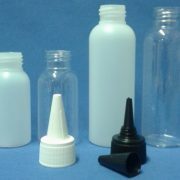 100ml plastic (HDPE white) bottle with witch’s hat cap (select cap colour separately). 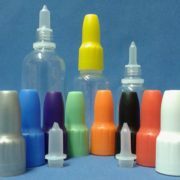 100ml plastic (PET clear) bottle with witch’s hat cap (select cap colour separately). Combine your cap with your bottle. 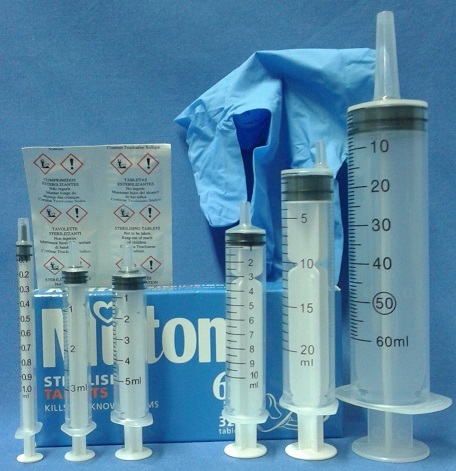 Milton sterilising tablets (8 per card). Milton sterilising tablets (32 per box). Examination gloves (medium size) – disposable, nitrile, powder free. 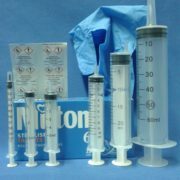 Examination gloves (large size) – disposable, nitrile, powder free.